Aluminum Fencing. Select from these grades. 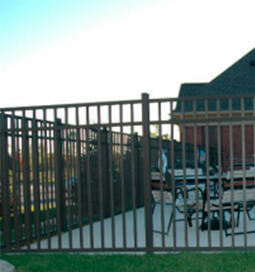 If you’re looking to add style and security to your home, residential grade ornamental aluminum fencing is for you. 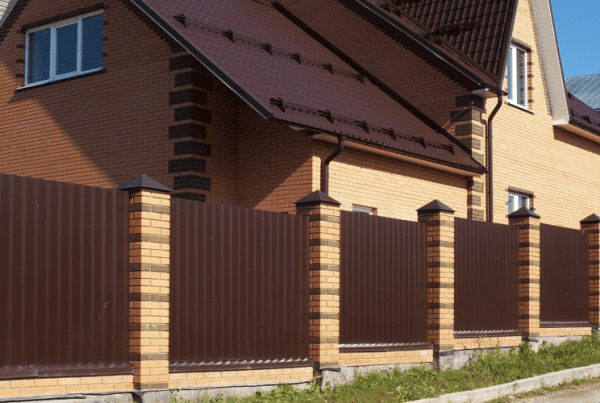 Available in six distinctive styles and seven colors — Black, White, Quaker Bronze, Walnut Brown, Beige, Sandstone and Hartford Green — residential aluminum fences are highly customizable, with an array of accessories to choose from. Reinforced horizontal rails add maximum strength for improved security and peace-of-mind. Commercial grade aluminum fencing is perfect for light commercial applications, and is available in a wide variety of styles and colors. Matching gates in single entry and double drive styles are offered to complement your aluminum fence, and even give you a cantilever gate option as well. 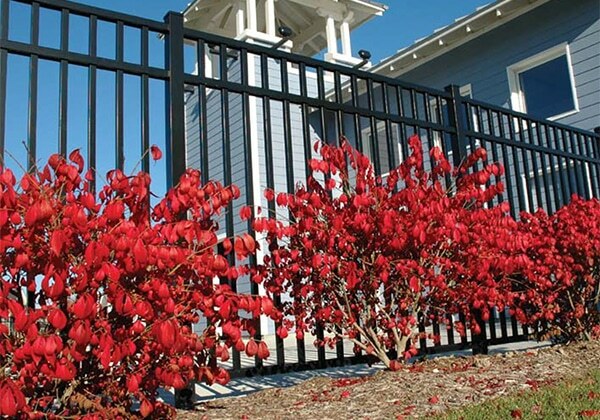 Designed for property-enhancing aesthetics and security, commercial aluminum fences from Maintenance-Free Outdoor Solutions also feature reinforced horizontal rails. 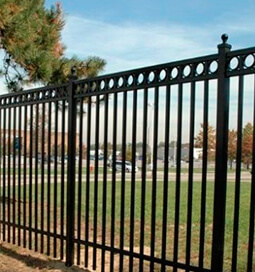 Industrial and heavy industrial grade aluminum fences from Maintenance-Free are manufactured by industry-leader Elite Fence Products and engineered for high security and distinctive style. 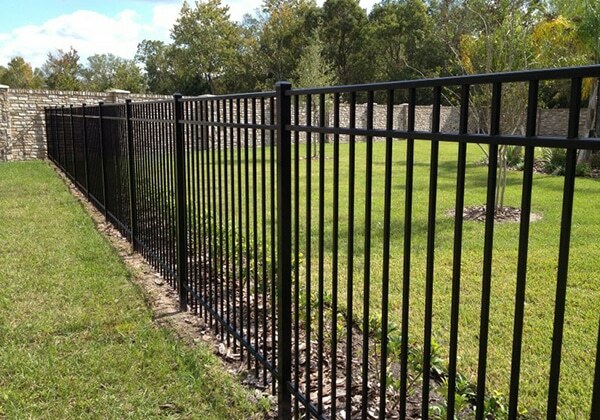 Available in six standard colors and heights up to 10’, industrial grade aluminum fencing is reinforced for maximum security and can be ordered with an enclosed bottom featuring no exposed screws. 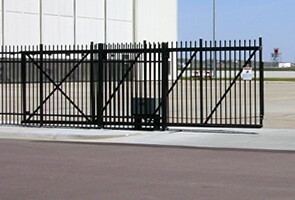 Matching gates are available in single entry, double drive and ZipTrack® cantilever. 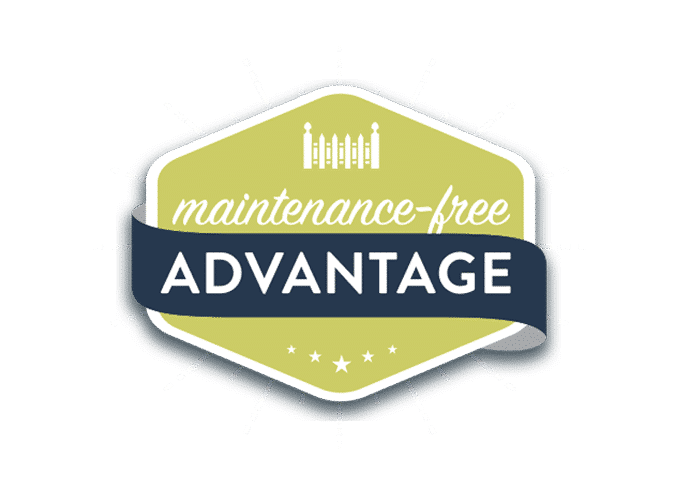 Maintenance-Free – Virtually maintenance-free, aluminum fences from Maintenance-Free Outdoor solutions require no painting or routine maintenance, and are engineered to resist exposure to the elements. 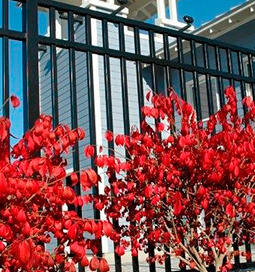 All Elite ornamental aluminum fences feature a powder-coated finish classified as “Super Durable” by the powder coating industry. 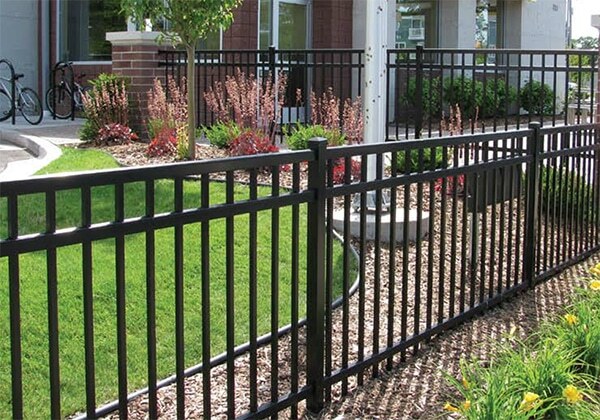 Strength – Available in Residential, Commercial, Industrial and Heavy Industrial grades, aluminum fences are built to last and withstand the worst life throws at them. 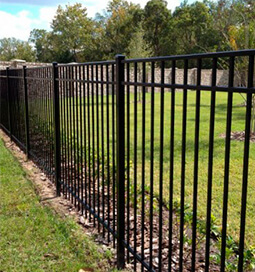 Design – Our aluminum fences include a distinctive multi-leveled design and pressed spear features. An array of accessories like ball caps, tri and quad finials, circles and butterfly scrolls are available to match your aesthetic preferences. 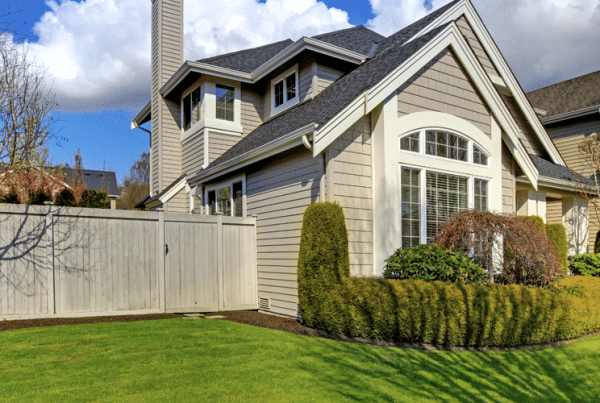 Cost – Aluminum fencing is an excellent choice if you’re looking to add resale value to your home and minimize (or even eliminate) maintenance costs. Peace of Mind – Why worry about your yard when you can enjoy it? All new aluminum fences from Maintenance-Free come with a limited Lifetime Warranty. 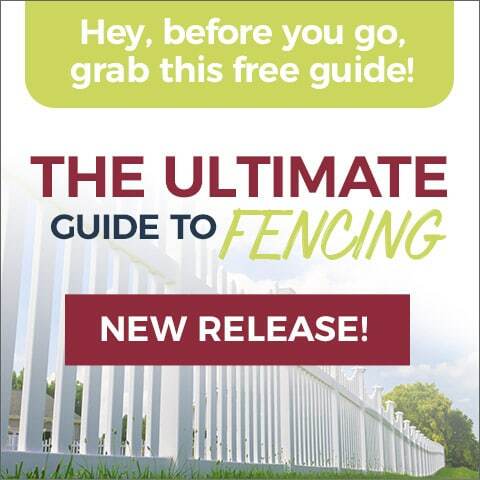 Aluminum fencing is a cost-effective option for residential, commercial and industrial customers looking for extreme durability, customizable styles and colors, and, of course, low maintenance. 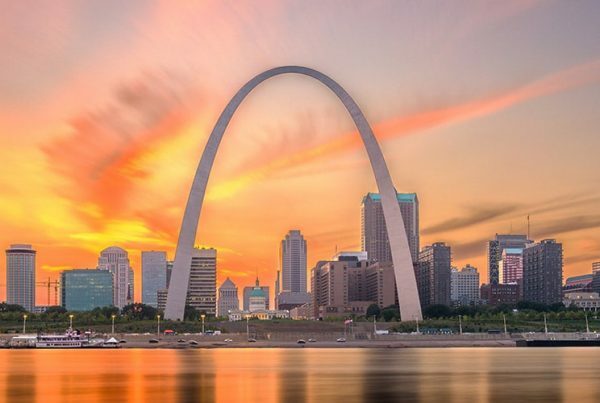 Maintenance-Free Outdoors Solutions is proud to be the exclusive dealer of Elite Ornamental Aluminum Fencing in the St. Louis metropolitan area. In addition to their exceptional engineering and aesthetic appeal, all aluminum fences sold by Maintenance-Free carry a limited Lifetime Warranty.